When it was new the color was bit lighter and the texture was matte. The leather was also quite stiff. 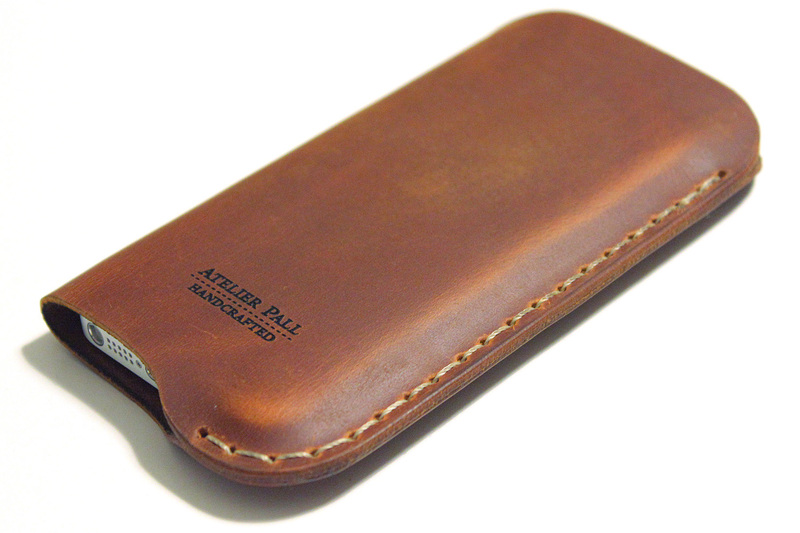 Over the years it has become much darker and shiny from daily use, just as natural leather tend to do. As the sleeve was new, in 2014, very matte and quite a bit lighter in color. The stitching, which I, to tell the truth, was a bit worried about initially is still as good as ever. What has happened though is that the leather has stretched a bit and moulded to the shape of the phone, again as leather do, so it’s not a tight fit anymore. The phone can now quite easily slide out from the sleeve and the phone sits a bit lower in it now than it used to. This exposes the corner of the phone somewhat. The difference can easily be seen in the lower left corner of the sleeve in the latest photo above and the photo from 2014. This stretching hasn’t been a problem for me though. I have accidentaly dropped the phone a couple of times while in the sleeve, and even though two (or three, lately, see above) of the corners aren’t well protected the phone hasn’t taken any real damage. 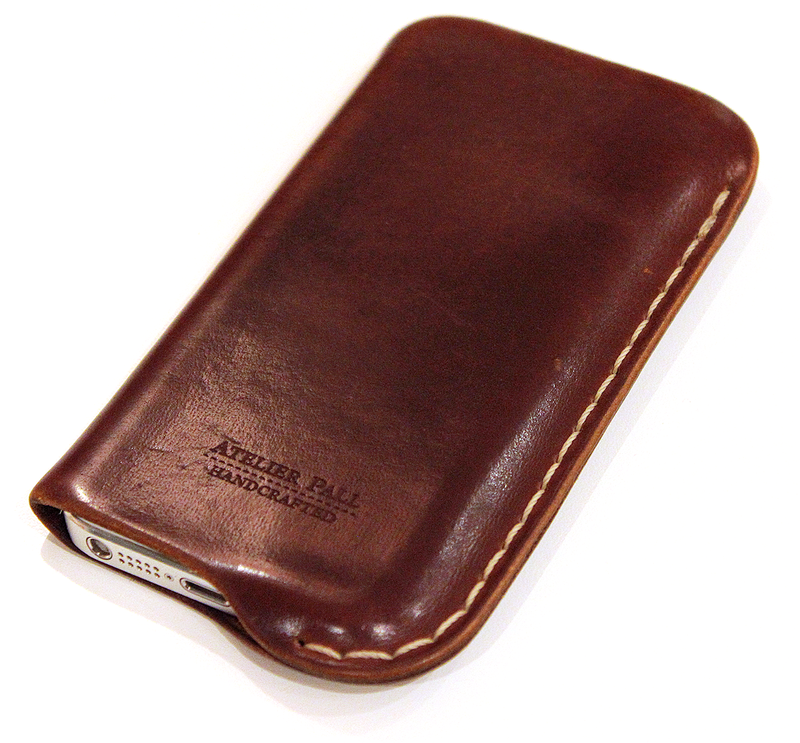 So, the bottom line is that I have been quite pleased with the Atelier Pall Sleeve and I have decided to get another one for the iPhone 7. Since I’m getting the Jet Black phone, this time the sleeve will be black. Hopefully, in a few weeks, I will have had a chance to use the new sleeve and post a review of that sleeve too, with thoughts on how suitable it is for the jet black iPhone 7. ‹ MonDIN 1.5 – now with settings!